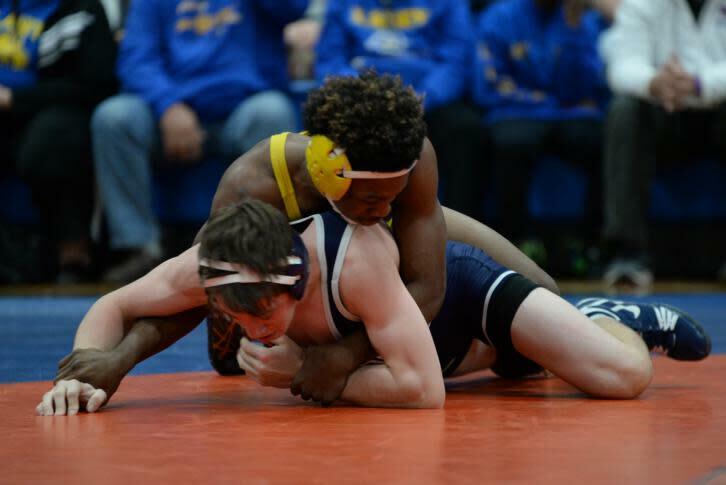 The WRAL Invitational Wrestling Tournament hasn’t always been big, but it’s always been big-time. A novel tie-in with Capitol Broadcasting Company, tournament founders who cared deeply about the sport and a vision for growth gave the event immediate prestige, even if the field was just seven local teams. That was in 1972, a different time in the sports world and sports broadcast world. Fast forward to now, when nearly 40 teams are making final preparations for the 46th annual event that draws teams not just from Greater Raleigh. They’re coming from Murphy, Manteo and points in between, and from several neighboring states. The tournament is Dec. 22-23 at Athens Drive High School, the event’s home since 1979. That’s just down the road from where the tournament got its start, at North Carolina State University’s (NCSU&apos;s) Carmichael Gym. In the early years, the tournament’s championship matches were held in Studio A at TV station WRAL, owned by Capitol Broadcasting. The tournament now uses two gyms and the Athens Drive cafeteria to accommodate about 400 matches over two days. 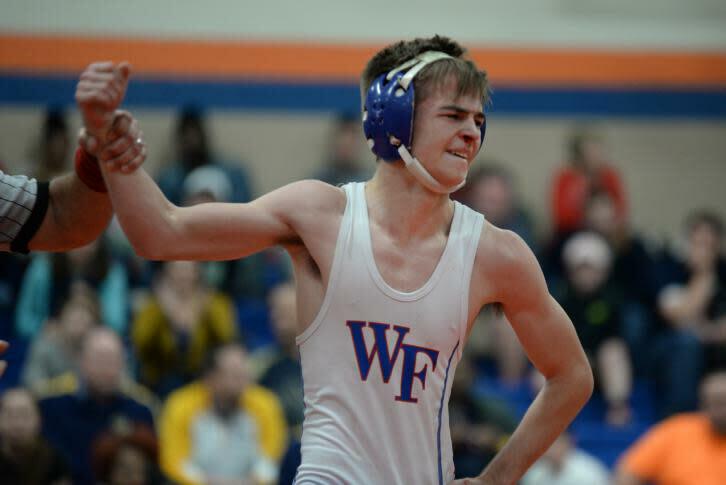 Tournament director Alex Von Hoene, a former wrestler under legendary coach Jerry Winterton at Cary High, points out that some weight classes in previous years have featured five returning state champions, meaning one such champion might not make the WRAL semifinals. The WRAL Invitational shares an honor with the Holiday Invitational high school basketball tournament as the longest-running annual sporting event in Raleigh. When those events began, the college football season was capped by 11 bowl games total, none after New Year’s Day. This season has 40 bowls plus a championship game. College basketball back then was not nearly as widely televised as it is today. Part of the sponsor relationship then between the tournament and Capitol Broadcasting included holding some of the tournament’s final matches at the WRAL studio, with the matches broadcast live on Channel 5. The name Bob Caudle may ring a bell with some local wrestling fans, but not necessarily because of the WRAL Invitational. Caudle, who did stints in news and weather at WRAL, also was the TV announcer for Mid-Atlantic Championship Wrestling, the professional variety, which had matches taped on Wednesday nights at WRAL. He called wrestling on TV for about 30 years. Jerry Barker and Jerry Daniels were, along with Caudle, the driving forces behind the tournament. Daniels was the wrestling coach at NCSU, and Barker was an assistant coach. Caudle’s son Robert wrestled for Sanderson High at the time and went on to become an orthopedic surgeon in Raleigh. Barker, who served as the tournament director for 44 years, also served as color commentator for those TV broadcasts on Saturday afternoons. A former state high school runner-up in Virginia, Barker wrestled at Appalachian State before settling in Raleigh. He admits to being an amateur broadcaster, but he was having fun—he got to talk about high-caliber wrestling on TV. And he was helping grow the sport by spreading the word, even if some of the delivery was clumsy. That’s the truth, not just a long-time director’s opinion. The event has drawn teams from wrestling strongholds such as Pennsylvania. One three-year stretch, the most outstanding wrestler hailed from Nitro, W.Va. And Barker recalls the year a team from Wisconsin made the trip to the tournament. Barker said the tournament helped local wrestlers surprise themselves. “The N.C. kids could see that they could compete with these strong teams from other states and do well,” Barker said. With that belief also came growth, both in population of Greater Raleigh and the WRAL Invitational brackets. It expanded steadily, going to a 16-team field in the mid-1990s to 30-plus teams in the early 2000s. Other than 2009, when snow canceled the event, it has been held every year, with all but two under the guidance of Barker. When Barker decided to step aside, in 2015 after 44 tournaments, he wanted to carry on the leadership that has made the tournament special. Von Hoene could see Barker was serious about that continuation of success. “One of the toughest job interviews I’ve ever had,” Von Hoene said of talks with Barker about becoming the next tournament director. The event has hosted many wrestlers who went on to collegiate careers, including Colton Palmer, who wrestled at NCSU after a record-breaking career at Durham’s Riverside High. Palmer was the only four-time champion in WRAL Invitational history, and he set national records for wins in a season, with 91. Since 1979, the event has been at Athens Drive each year. Barker stressed that Athens Drive’s support has been tremendous, especially that of former wrestling coach and later athletic director Ron Williams. Williams, who had coached Greenville’s J.H. Rose High to a WRAL Invitational title in 1977, was in charge of tournament logistics, while Barker handled duties such as recruiting teams. The tournament has been strong because of strong competition year after year. That coming together of talent can in part be traced to getting the word out over the airwaves on December Saturday afternoons.